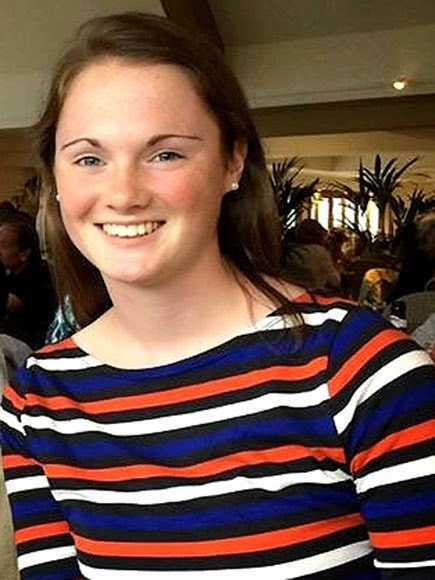 This drawing of the recently deceased UVA student, Hannah Graham, was inspired from a dream I had about six weeks ago, shortly after she went missing. I had an OBE (out-of-body experience) and I was looking down on myself, from a bird's-eye perspective. I was sitting at an old wooden desk in an extremely bright room, drawing Hannah. I remembered seeing lettering in the drawing as well, along with a dove flying next to her. When I woke up, I had goose bumps because I knew she had passed away. 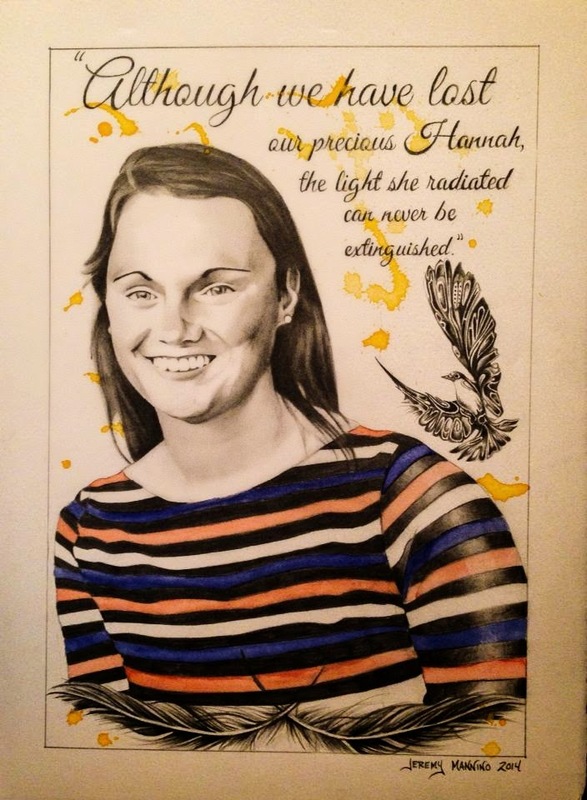 I couldn't recall what the text said, so after several failed attempts to find the perfect quote to fit this drawing, I came across a statement her parents later said in a news interview, after they had found her body. that I immediately knew was the one. I realized I couldn't remember what the text said in the dream, because that news interview hadn't happened in real life yet. I know Hannah's spirit was present when I had that dream and I absolutely had to re-create the drawing she showed me. Thanks for the inspiration Hannah. Rest in Peace girl and thanks for the vision.